Lewisham Council have refused various parts of my FOI request  about the Leeways Childrens Home, 17 Edward Rd, Bromley. Fortunately, independently I have kindly been given a copy of a page about the Chief Executive of Lewisham’s Inquiry which gives me some more details of a couple of the items I requested. The Chief Executive’s Inquiry found that two men, the former Assistant Social Services Director and the former Principal Officer who would have been recommended for disciplinary action. However as they had left the Council this action could not be taken! This of course leads to asking what they knew and should have known about Ronald Coopers child abusing activities and what they were to be disciplined for. The page is believed to be from a report of about 160 pages called After Leeways, Challenges Changes and Achievements and it gives sufficient information to follow up on a few of the questions, which will happen in due course. The two men who would have faced disciplinary action, if they had not left Lewisham are Mr Morley and Mr Campling. Where did they go to? Was any government agency informed of any suspicions? It will be no doubt useful for IICSA and hopefully the council has already proactively contacted the Inquiry and submitted it to IICSA. 1. 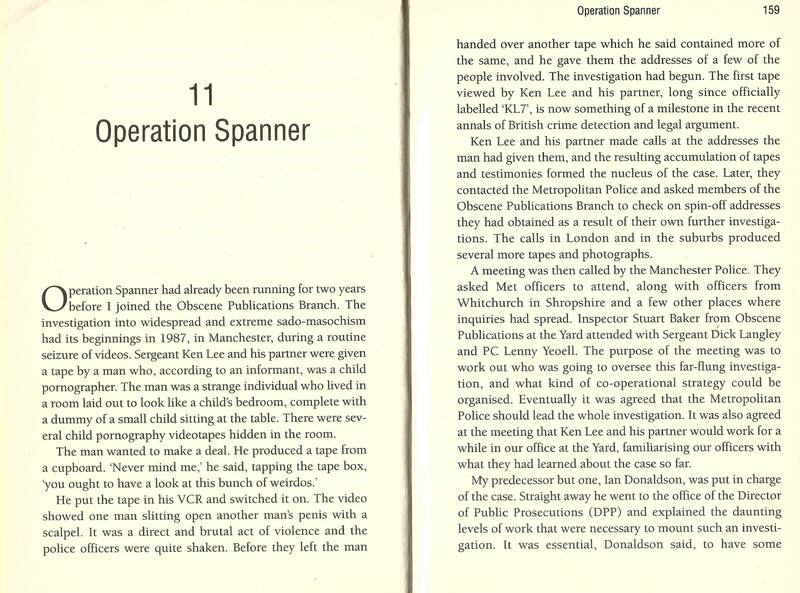 “After Leeways, Challenges, Changes and Achievements” dossier is apparently approximately 160 pages and was the main Lewisham response to the Inquiry into the horrific situation of Lewisham Council having a child abuser in charge of its childrens home who had abused several children. It should from the size be relatively easy to find within your files. To help me understand could you explain how are Lewishams records from this time filed or catalogued, whether there is a digitised index and also whether Lewishams records stored in house or via an external agency where a fee has to be paid for searching? I do not understand what you mean by “individuals” in this sentence “To retrieve this information would require manual checks on all such individuals. “ Could you explain? 3. Review of Child Services not able to be found . This was a major revamp only 30 years ago. Is this not able to be found easily within the time limit? Are the documents that poorly filed? Could you give the exemption Lewisham is claiming for this confidentiality under the FOI Act, as the reply fails to give the exemption required? This is a link to a document which gives some more detail as to the Report for your information as to the date of the Council meeting [link to this blog] I believe it to be from the “After Leeways Report” but I could be mistaken. It describes this “Report to Council”. I wonder whether it would be possible to find the minutes with this help. Is it also possible to identify the other 3 monthly progress reports and the meetings that they were supplied to? I realise this second part maybe taken as a new request. 6. Report of the Elizabeth Lawsons Independent Panel 1 year on from Leeways Report. Did this 1 year on Report happen or has it been lost? This entry was posted in #OpDeathEaters, 4iicsa, cathy fox blog, Child Abuse, Child sexual abuse, Childrens home, Council Response, Freedom of Information Request, Inquiries, Lewisham, London, Paedophilia around Piccadilly and tagged #OpDeathEaters, 1 year on report, 4iicsa, After Leeways, cathy fox blog, Challenges, Changes and Achievements, Chief Executives Inquiry, Child safeguarding, Child sexual abuse, Childrens home, csa, Director of Social Services, elizabeth lawson, Leeways, Leeways Childrens Home, Lewisham, Lewisham Council, Local Council abuse, London, Mr Campling, Mr Cooper, Mr Morley, Operation circus, Principal Officer, Report, Review of Child Services, ronald cooper, Social Services Committee. Bookmark the permalink. Has the document been made available to statutory Inquiry you could ask Lewisham and the Inquiry. Do relevant Government departments hold copies?